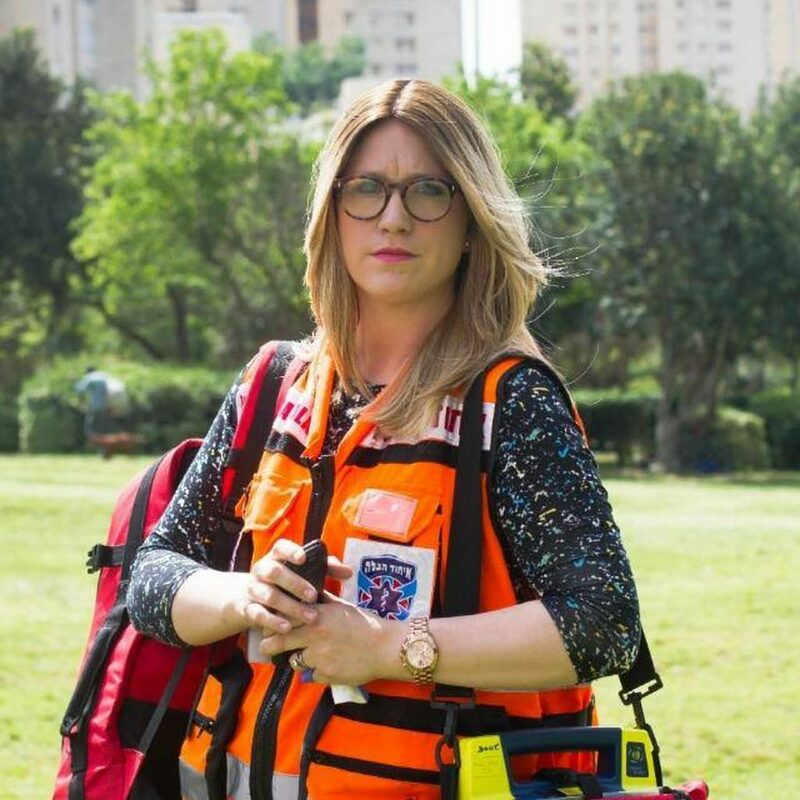 The Founder and Former Director of United Hatzalah’s Psychotrauma and Crisis Response Unit (PCRU) Miriam Ballin was awarded the Young Leadership Award among the recipients of the Bonei Zion prize from Nefesh B’Nefesh for her work in founding the new and innovative unit among other accolades. Ballin, originally a general volunteer for United Hatzalah of Israel, became the first Charedi female EMT and ambulance driver in Jerusalem and was the first woman to receive the United Hatzalah Outstanding Medic Award two years in a row. After having responded to countless medical emergencies, Miriam, who has a background in psychology with a specialization in trauma, felt the need to incorporate her knowledge in the world of Emergency Medical Services. Miriam saw that treatment for those physically injured was effective and timely, but those on the scene who suffered emotional pain went unnoticed. Miriam and her team developed a protocol that combined Israel’s expertise in trauma intervention with the protocols of the World Health Organization. With this, she founded and directed United Hatzalah’s Psychotrauma and Crisis Response Unit – the first fully integrated psychotrauma team in the world. She recruited and trained a team of mental health professionals from all backgrounds who would be on-call around the clock, responding alongside the medics to highly traumatic incidents. Since the Unit was founded, the hundreds of specially trained mental health workers who make up the team have responded to thousands of calls that have been flagged as “highly traumatic,” providing stabilization and support to people in their moment of crisis. Miriam’s model was recognized as the first of its kind. It soon spread across the whole of Israel, and she found herself managing, training, and dispatching over 600 responders across Israel. She then began to spread the model internationally and has trained teams in the US, Ukraine, Panama, and South Africa. She has also led international missions to assist in Hurricane Harvey, Hurricane Irma, and Pittsburgh. She has also built a clinic and hotline for medics across the country to receive psychological support, and psycho-education as an investment in their own emotional resilience and to reduce burnout rates. Miriam speaks across the world inspiring other women to pursue their dreams and contribute to Israel. She is now working for her doctorate and writing a book based on her experiences working in the field of crisis management. Miriam made Aliyah from Maryland in 2013. Seven outstanding Olim (immigrants to Israel) from English-speaking countries have been awarded the 2019 Sylvan Adams Nefesh B’Nefesh Bonei Zion Prize, recognizing Anglos who have made a major contribution to the State of Israel www.boneizion.org.il. This year’s prizes, announced today, are sponsored by Sylvan Adams, a Nefesh B’Nefesh Oleh and Canadian real estate developer, who is committed to developing the State of Israel. Sylvan is dedicated to showcasing the impact and achievement of Israelis to the world, viewing the Bonei Zion Prize as an integral piece of this mission. This entry was posted in Uncategorized and tagged Bonei Zion, EMS, Israel, Jerusalem, Miriam Ballin, Nefesh b'Nefesh, PFA, Psychotrauma, United Hatzalah. Bookmark the permalink.